About | Automated Conveyor Company, Inc. 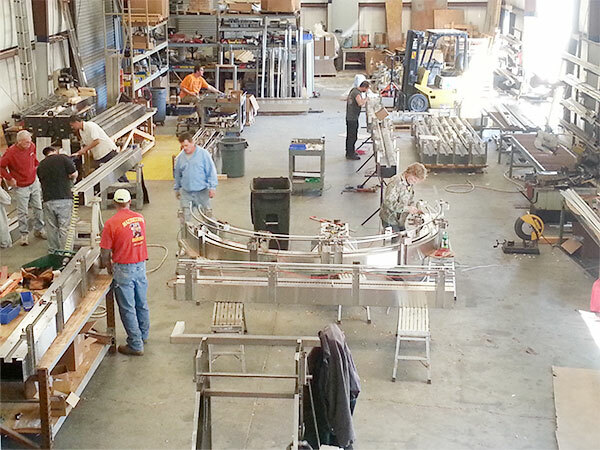 Automated Conveyor Co Inc was founded in 2001. Its’ principles have over 100 years of experience in a wide range of conveying and manufacturing fields. ACCI is a manufacture of High Speed Cap Sorters and Systems, Stainless Steel Conveyors and other Specialty Material Handling Equipment, as well as being a systems integrator. With the ability not only to design systems, ACCI can build, install and offer start-up services. By doing this we can control cost and be a single point of contact. We also have a vast knowledge in the field of electronic ordering as well as order picking methodology for the distribution arena. The ACCI team has designed, supplied and installed numerous integrated systems for manufacturing and distribution. These satisfied customers include, Pepsi, Coca-Cola, Ball Plastics, General Foods, Random House and Southern Wine and Spirits. ACCI’s mechanical services division has the ability to install, relocate or liquidate nearly any type of equipment. We own our own equipment, which allows us to work to the customer’s schedule. This division also has the ability to maintain the efficiency of your system by scheduling monthly, quarterly, or an annual maintenance program. ACCI’s client list includes many international customers. We are experienced in the crating, shipping and customs interaction with regard to these international shipments.